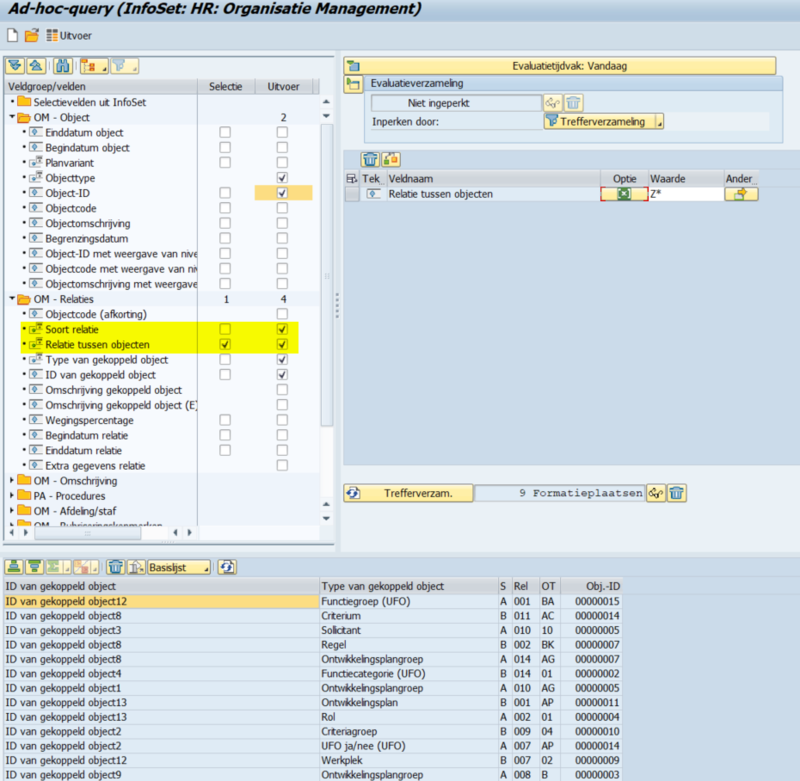 Is there any standard report in sap which gives the report based on particular relation to a position? I want to create a custom relation to a position and pull a report for that. Without knowing information besides having the relation as a search criteria it's impossible to say if such a report exists. While you can use custom relations in several standard report if you defined an evaluation path using that relation, you might be able to get some results. For anyone to tell you which to use however you'll need to provide more of your needs. Standard OM Structural Reports, such as RHSTRU00 (t-code PPST, S_AHR_61016263 or S_AHR_61016528) use an Evaluation Path, such as O-O-S-P, to generate the required relationship report, and Custom Evaluation Paths can be created. and see what Evaluation Paths already exist in your environment, and if required, create a Custom one (to be used in an OM Report). If you have infotype 1001 is part of your infoset you should be able to use the relationship fields of the infotype.